Fantastic job. Very personable person. Did exactly what he said he would do. The job is better than I expected. For the price of the job the quality of the work was more than fair. Very satisfied customer. I went in for a dent on my passenger side rear door. Arslan worked the dent out professionally and even touched up a portion on my hood at no cost. I really appreciate that. I definitely recommend this company. Very friendly and honest guy! Polished out a paint issue for no charge b/c he could not fix dent! Looks much better! Even suggested a inexpensive website to help save me $$$ while fixing elsewhere. Highly recommend and would call him for another issue anytime! Ars provided great consultation prior to beginning the work and completely exceeded my expectations once finished. My dent was no longer visible and he was able to retain the natural line and curves of the car. Him coming on-site made it incredibly convenient. He takes great pride in his art and it shows! 100% will be recommending to all my friends and family. A pleasure doing business with Ars! Had him repair one large dent and a few dings on my car. He was able to give me a very reasonable quote and came out to do the job a day later. He is very friendly, professional and shared many tips with me while he repaired my dents. He was quickly able to remove the dents as if they were never even there! Hopefully I never get another, but if I do, I will definitely be giving him a call! Ars is a genius. Someone dinged my brand new car in the parking lot. I was worried. He fixed the car as if it was never hit. The car was fixed in his first visit but he had to leave sooner due to rain. However, he did a follow up visit to make sure it was perfect. Great service. Truly outstanding service! Arslan was quick to respond to my request to fix a large dent near the tail light, showed up on time, explained what he was going to do, and diligently worked on the car for several hours. The result was a sight to behold -- the dent had totally and completely disappeared. 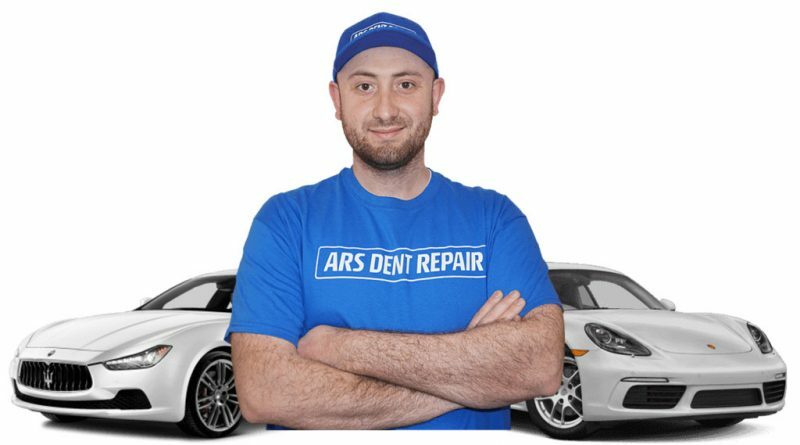 I am beyond delighted and would recommend ARS Dent Repair without any hesitation. Ars Dent Repair LLC did a fantastic job fixing the hail damage on my 2016 Ford F250 and 2002 Toyota Avalon. Repairs were accomplished at my home and in a timely manner. Asrlan was professional, courteous, and through with the work, he is truly an artist.When the repairs were complete it was like the damage never even happened. 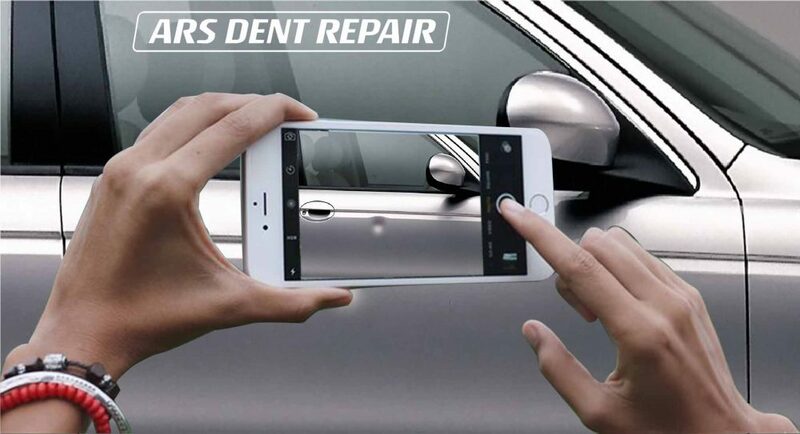 I highly recommend his work and will use Ars Dent Repair in the future should the occasion make it necessary. Wow! This was amazing. He was on-time, and did a great job for a great price. I texted him a picture, and he texted me a price. This was a pretty big dent in the corner of the front fender. The car looks good as new. He did it all at my house so I didn't have to take the car to a shop. I am not sure I have had a better customer service experience. Such a great service. I had a dime size ding in the lower piece of my mustang convertible door. Most people probably would ignore it being that it was so small, but it was all I saw when I looked at my car. The removal took about an hour and was done in my drive way. Very convenient, and very pleased with the outcome. Very easy process....sent him pics of the dent & he texted back an estimated price. We setup the appointment and he arrived on time. He was courteous & professional. The repair was flawless. The estimated price was the price. I would definitely recommend him. They did an excellent job of removing a sizable dent from my driver's side door. They were on time, polite, and professional. The end result was excellent. 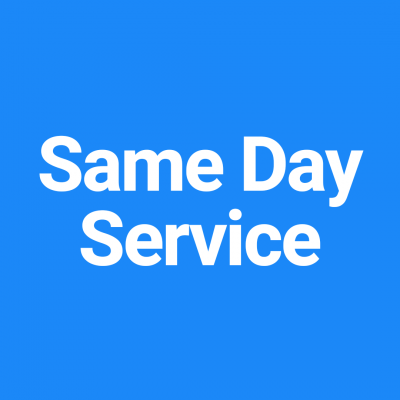 Very convenient to get an estimate and schedule an appointment. Arslan was quick to respond to my inquiry and was able to make it out the very next day. He was punctual and when doing his work, was very meticulous and precise. I would recommend him to anyone that needs some dent repair done for their vehicle. As as advertised, ARS is a craftsman at work. No fancy "pop goes the dent" tools or gizmos. Just a skillful hand, finesse and patience. Very satisfied and impressed with outcome, and a very polite and pleasant fellow to boot! I hope I'm not back again, but will not hesitate if required. Found this place online and it had great views so I decided to give them a try. I'm so happy I did! Arslan did a great job getting the dents out my car door and he came to me. I would definitely recommend him. I had a small dent in my door, it took half the time as expected. I didn’t have to go to a busy shop and they were on time. 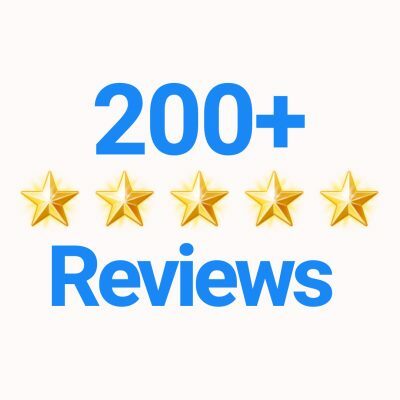 I was more than impressed with the results and will recommend them to everyone I know. Extremely satisfied with his work, I was very nervous and apprehensive about having someone fix the dent because it was a very expensive new car but he is totally trustworthy and knows what he is doing. His expertise is unmatched. Make an appt. with him while you can before he gets too popular! I am for sure saving his phone number. Great, great work Arslan. Very prompt with quote, showed up on time, very polite. Completed the work in just one hour at my house & the car looks like new. I highly recommend calling Arslan before going to a body shop. Reasonable price & convenient. Arslan set up quickly and worked very diligently on the door dent on my Mazda6. The dent was directly on the character line which extends through the rear quarter panel. When he finished 90 minutes later, it looked as new. I highly recommend his service and I will have him work on a Miata I also own in the upcoming months. Very friendly, super meticulous. Would not stop until it was perfect. 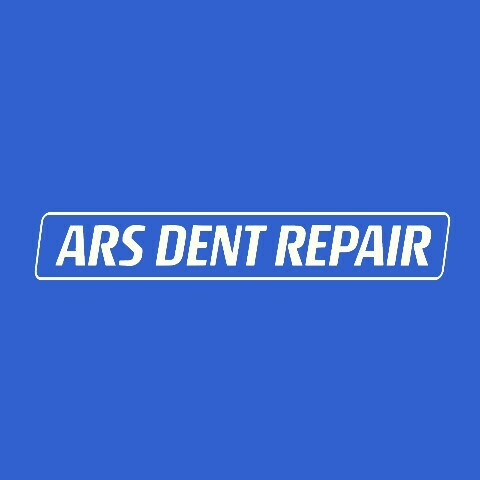 I’d recommend ARS as the only dent repair company in Maryland.Definitely will use him again next time a dent shows up! My Dodge Durango Citadel had dent in the right rear passenger door. The body shop wasn’t certain they could repair it less than $800. He repaired it for the quoted price of $125. I am 100% satisfied with the work. The door dent, which was the size of a quarter, is completely gone. The gentleman was on time!!! He was courteous!! The best of all he came to my home! !I will 100% use him again!!!!!! Outstanding! That's the only way to describe Arslan's work. Very timely, came in potentially bad weather (snow), and did just an amazing repair for, I think, a very reasonable price. In fact I told him he should charge more just because of the effort he puts forth, not to mention the amazing quality of his workmanship. My wife's brand new car is now whole again! Thank You Again Arslan. Arslan is great! Know what hes doing, is very courteous and honest!! Would recomend him to anyone and will def call him up again next time I need a repair. Excellent service, I had a huge dent after smashing into a pole. My first reaction was, I am out of about 2,000 or more. After thinking outside of the box and contacting Ars, my car looks better than before the impact! I am completely in shock! Arslan did an outstanding job removing a dent from a shopping cart that hit both driver side doors on my car. He even went above and beyond to repair a preexisting door ding that was there from the day I got it. His quote over the phone was accurate and reasonable. Less expensive than body shop quotes. Extremely pleased with the work and would highly recommend without hesitation! The quality of the work is amazing! He took the time to take out a difficult dent right on the body line without cracking the paint (this takes a lot of skill). Fast response on quote request, very accommodating to your schedule, and very competitive pricing. I would highly recommend their services. Hello! My name is Arslan Gadz. I am the owner and technician of Ars Dent Repair - Paintless Dent Removal of Baltimore LLC. 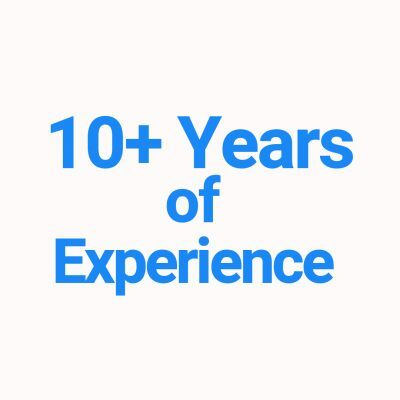 I have over ten years of experience working on cars of all makes and models. I am a very passionate dent repair technician, and I love what I do. I take tremendous pride in my craft, and I always strive to provide the best quality services. I promise to take care of your car as if it's my own. 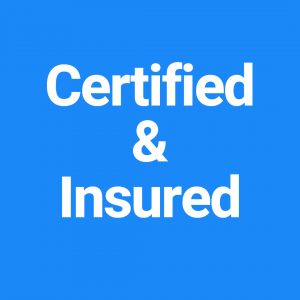 Would you like to get a free quote? My question is Are You?